This information is for those who wish to apply to the BYU Commercial Music Program. The Commercial Music Program represents a rigorous and diverse area of study, exploring many of the aspects of today’s music industry. 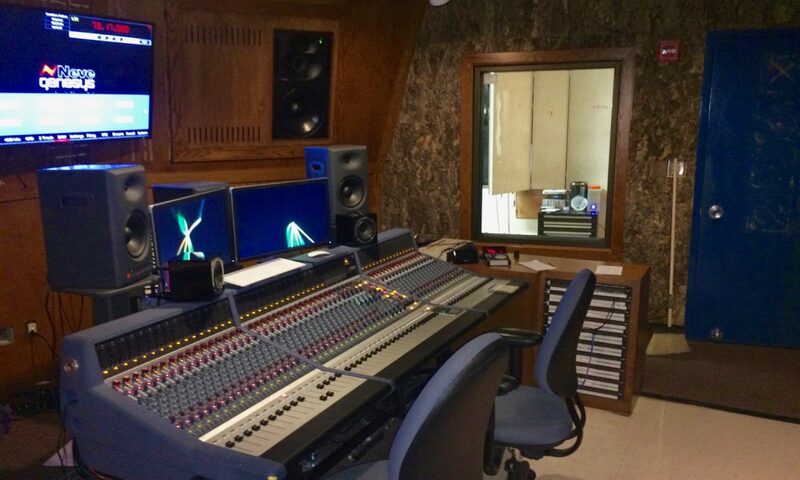 Students in the program will be immersed in a variety of activities including: composition, arranging, recording, production, mixing, midi programming, DAW usage, performance practices, and learning entrepreneurial and business skills. Therefore candidates that demonstrate a substantial breadth of knowledge before entering the program generally receive the strongest consideration. There are two parts to the commercial music acceptance process. 2. You submit a Commercial Music Portfolio to the commercial music faculty. If you are accepted into the School of Music and your portfolio shows exceptional qualities, you have a good chance of being admitted into the program. Due to resource and size constraints we can only take 10 new applicants a year. That means many talented students who even rate high on their audition and portfolios scores may not get into the program. You can still be accepted into the School of Music and not be admitted into the commercial music program. in those cases, students come into the school of music for their first year then re-apply to the program. 3 original works that showcase the candidate in the strongest possible way. These may be audio recordings, or audio with video if appropriate. (*see format requirements below) Preferably these are original compositions or productions. An arrangement can be included, but it should reflect a very original and musical adaptation of the arranged work. The portfolio can be customized to reflect the area of study the candidate wishes to focus on – in the case of someone who wants to focus on being a sound engineer, particular attention will be focused on the sonic quality and overall mixing skills demonstrated in the portfolio. For someone wanting to go into film and media composition, a high degree of music composition and production skills should be exhibited. For someone who is looking at being more of a performing artist, strong performance skills should be demonstrated. Cover letter/resume describing the candidates musical background and experience, and why they feel they would be a good fit in the program. Candidates also need to indicate which emphasis track they are most interested in. Supporting documents such as lyric sheets, scores, lead sheets, etc. The candidate should include documentation that indicates his or her involvement in the production as well as contributions by others. For example, Did the candidate write and produce the entire piece? What software was used in the production? Were there other musicians involved and what was their contribution? Was this recorded in a bedroom or at a professional studio? Who did the engineering and mixing? Audio files: Acceptable file formats include “.mp3” or “.m4a” (256kbps or better) or “.wav” files at either 48k/24bit or 44.1k/16bit. Video files: (if any) must be in Quicktime “.mov”, “.m4v”, “.mp4” format only. No Microsoft video files (.asf, .wma, .wmv, .wm) or any other type are allowed. Documents: All documents must be in “.pdf” or “.doc” format. *NOTE: Make sure all files and documents are formatted and present properly. We will not take the time to troubleshoot files that don’t play or appear correctly. Portfolio Submission: Portfolio’s must be received by December 1, 2019 for pre-screening. You may submit your portfolio either electronically, or in a physical folder with an included audio CD. Electronic submission: Compress all relevant files into a “.zip” file labeled with your name, ie. JohnSmithCommercialMusic.zip, upload the file to WeTransfer, and email to musicadmissions@byu.edu. Be sure to read through all the admission requirements here on the School of Music Website. Presentation: Is the portfolio presented in a professional manner, with proper attention given to appearance and organization? Documentation and proper credits: Is there sufficient documentation to evaluate what the students contributions were to the portfolio pieces? Additional Supporting documents: What scores, lead sheets, charts, lyric sheets and any other supporting documentation was provided that demonstrates a depth of knowledge in the musical language? Composition/Writing: What level of competency, experience, skill and creative sensibility do the compositions or arrangements reflect? Diversity: What variety and diversity did the candidates 3 submissions reflect? Technical Skills demonstrated: What technical skills were either documented or demonstrated in the portfolio? Sonic Quality: How is the overall sound quality of the portfolio? Production Quality: What was the candidates sound/virtual instrument choices, recording techniques, mix quality and overall production value? Performance Level: What was candidate’s overall level of performance?